Is tobacco a problem for you? ​​ Tobacco comes from the dried leaves of the tobacco plant (Nicotiana tabacum and Nicotiana rustica). Other ingredients are added to manufacture a range of tobacco-based products. Tobacco smoke is a mixture of almost 7000 different chemical compounds, including nicotine, tar, carbon monoxide, acetone, ammonia and hydrogen cyanide. Over seventy of these chemicals have been proven to be carcinogenic (causing cancer). Nicotine - the stimulant component in tobacco smoke that causes dependency, as it is highly addictive. Nicotine is a poison. Tar – released when the cigarette is burnt. It is a sticky brown substance that is the main cause of lung and throat cancer in smokers. Tar can also cause unsightly yellow-brown stains on fingers and teeth. Carbon monoxide – a gas that is absorbed by the lungs and binds with red blood cells displacing oxygen. The body then makes more red blood cells to compensate which thickens the blood making it more prone to clotting. This increases the risk of heart attack, stroke and vascular disease. Tap a body part to learn more of the effects Tobacco places on your body. Tobacco smoke is usually inhaled by smoking cigarettes, pipes and cigars. It may also be sniffed (snuff) or chewed (chewing tobacco). Cigarettes account for around 98 per cent of tobacco consumed in Australia. Second hand smoke also known as environmental tobacco smoke is the smoke which smokers exhale after inhaling from a lit cigarette and the smoke emitted from a burning cigarette. In adults, breathing second hand tobacco smoke can increase the risk of heart disease, lung cancer and other lung diseases. It can worsen the effects of other illnesses such as asthma and bronchitis. For children, inhaling second hand tobacco smoke is even more dangerous. This is because children’s airways are smaller, and their immune systems are less developed. These differences make children more likely to suffer health problems due to second hand smoke such as bronchitis, pneumonia and asthma. Exposure to second hand smoke during pregnancy increases a woman’s risk of miscarriage, premature birth, having a baby with a low birth weight and a sickly baby. Infants exposed to second hand smoke are also at an increased risk for Sudden Infant Death Syndrome (SIDS), chest and ear infections and asthma. There are no known safe levels of exposure to second hand smoke. An electronic cigarette, most commonly known as an e-cigarette is a battery powered device which heats up liquid, known as e-liquid into an aerosol which a person then breathes into their lungs. Using an e-cigarette is also called 'vaping'. E-cigarettes are also called electronic nicotine delivery systems (ENDS), alternative nicotine delivery systems (ANDS), or e-cigs. They come in many shapes and sizes and can be made to look like cigarettes or other tobacco products like cigars, pipes or hookahs. They are also sometimes made to look like everyday items such as pens or USB memory sticks. There are over 7,000 e-liquid flavours which include tobacco, confectionery, fruit and chocolate. Some e-liquids contain nicotine (in some instances in large quantities), which is illegal in Australia without approval from the Therapeutic Goods Administration. Many e-liquids containing nicotine are not labelled as containing nicotine. E-cigarettes containing high levels of nicotine are potentially lethal if swallowed. For these reasons e-liquids should always be kept out of reach of young children. E-cigarettes are unlikely to be risk free and may expose users to chemicals and toxins that can lead to minor issues such as irritation to skin, eyes and airways and to more severe health effects. The direct health effects from using e-cigarettes need further investigation. The National Health and Medical Research Council (NHMRC) is currently funding a number of studies into the safety and efficacy of e-cigarettes. The NHMRC CEO Statement for electronic cigarettes stated that there is currently insufficient evidence to support claims that e-cigarettes are safe and further research is needed to enable the long term safety, quality and efficacy of e-cigarettes to be assessed. The NHMRC CEO Statement can be accessed here. E-cigarettes contain many parts that are being imported into Australia without any quality controls, such as batteries and chargers. Many electronic cigarettes use lithium batteries. These batteries can have a risk of fire and explosion in poor quality devices, or if the devices are not used properly. While some e-cigarette manufacturers claim that they can help a person to quit smoking, there is currently insufficient evidence to conclude that e-cigarettes can assist smokers to quit. The Australian Therapeutic Goods Administration (TGA) has not assessed any e-cigarettes for quality, safety or performance as a smoking cessation aid. Further information on safety and other issues relating to electronic cigarettes is available on the TGA website. For more information on e-cigarettes, visit the NSW health website here. In NSW, smoking is banned in all enclosed public places such as shopping centres, pubs, clubs, cinemas and libraries. It is also against the law to smoke in a car while a child under the age of 16 is present. For more information on smoke free laws, click here. It is against the law for a retailer to sell tobacco and non-tobacco smoking products to people under the age of 18. It is also against the law for an adult to buy these products on behalf of a minor. Police have the power to confiscate tobacco and non-tobacco smoking products from a child or young person under the age of 18. There are a range of other laws associated with tobacco retailing. Further information is on the NSW Health website. Click here. There is no safe level of smoking during pregnancy. Smoking causes immediate and long term harm to developing babies. This is due to the inhaled carbon monoxide gas from smoking reducing the amount of oxygen in the mother’s blood. Less oxygen and nutrients flowing from the mother’s blood through the umbilical cord to the baby increases the baby’s heart rate and increases the stress on the baby’s developing body. Other toxins from tobacco smoke also cause harm to the developing foetus. Tobacco contains more than 7,000 chemicals that are harmful to people - including 70 chemicals that are known to cause cancer. Nicotine is the highly addictive chemical in tobacco. Some e-liquids used in e-cigarettes also contain nicotine. Nicotine dependence can develop quickly in some people, such as after the first few cigarettes or e-cigarettes containing nicotine. For others, the dependence develops more gradually. There is no way of knowing how an individual will respond to nicotine containing products and how quickly their dependence will develop. Nicotine withdrawal is usually worst in the first few days after quitting and most people find the symptoms last no more than two weeks. Some people are successful at quitting unaided. For most people, assistance is required to encourage and support quit attempts, manage symptoms of nicotine withdrawal and prevent relapse. For example, using over the counter nicotine replacement therapy (NRT) products (patch, gum, lozenge, inhalator and mouth spray) or prescription only pharmacotherapy products (Champix and Zyban) can reduce cravings and symptoms of nicotine withdrawal. A GP or other health professional can provide quit advice, counselling and prescribe quit aids. Talking with Quitline 13 7848 can also help with ideas to manage withdrawal symptoms related to smoking. It is usual to try to quit numerous times before successfully quitting. There are many benefits of quitting smoking and they start straight away. After only a few weeks, your taste and smell improves, coughing reduces and breathing and exercise will be easier. Instantly, you will be able to save money. If you spend $100 a week on cigarettes then you will save more than $5,000 for each year you don’t smoke. Your appearance also benefits from quitting smoking. Your skin will look healthier, your teeth will be whiter and you will have better breath. If you quit before age 35 your life expectancy is similar to someone who has never smoked, however quitting smoking at any age has health benefits. When parents quit smoking, this also benefits the health of their children. A smoke-free home and car protects children from ‘second-hand smoke’ and lowers their risk of many illnesses like SIDS, ear infections, asthma, allergies and other lung problems. The Quitline is a confidential telephone information and advice service. For the cost of a local call (except mobiles), professional telephone advisors provide encouragement, resources and support to help smokers quit. They are friendly, helpful, non-judgmental and are able to assist smokers at whatever stage they may be at in the quitting process. The Quitline advisors can also provide advice to family and friends of smokers and to health professionals about the best evidence for quitting smoking. callers from other culturally and linguistically diverse communities can also call the Translating and Interpreter Service. The iCanQuit website is designed to motivate people to quit by providing them with the information and tools they need to make a quit attempt. It is interactive and allows smokers to share their stories about previous, current or planned quit attempts. It provides helpful hints on how to quit as well as a goal tracker and savings calculator so smokers can see the everyday results of quitting. 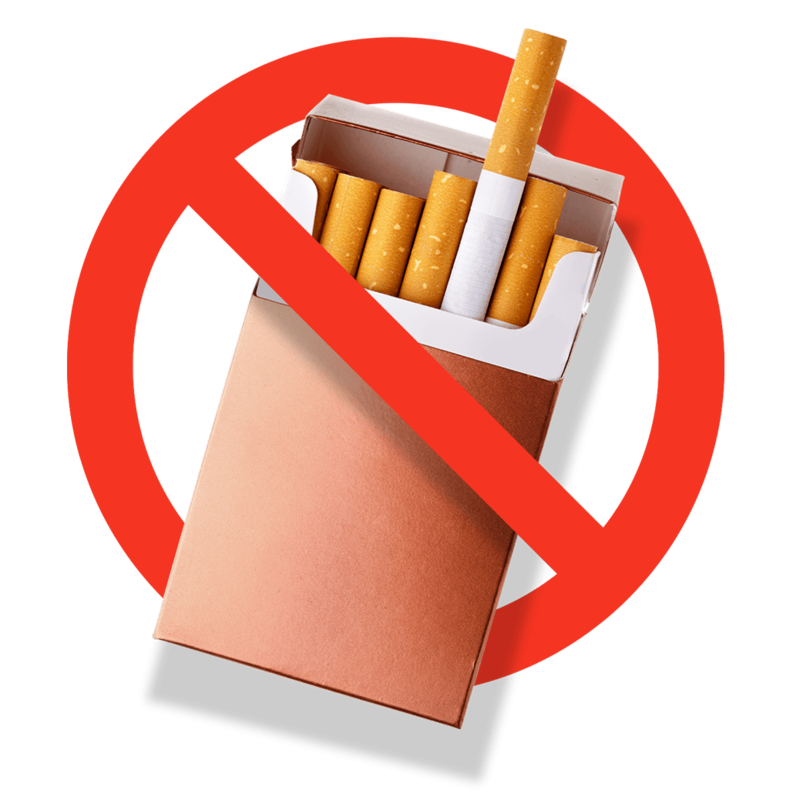 My QuitBuddy is a phone app personalised to help you quit smoking on your terms. You choose the time when you are ready to quit, set your own goals, and include photos and recordings of loved ones to spur you on. A popular feature of the app is a community forum which allows quitters to share success stories and tips. There is a range of medical products that can double your chances of quitting. Nicotine replacement therapies (NRT) including patch, gum, lozenge, inhalator and mouth sprays are available over the counter at local pharmacies without a prescription. NRT works by replacing some of the nicotine your body receives from smoking but at a much lower level which helps you to manage nicotine withdrawal symptoms. Bupropion (Zyban) and varenicline (Champix) are prescription medicines that work by reducing the severity of withdrawal symptoms while also reducing the pleasurable sensation of nicotine. For details of the availability of NRT and other medical products on the Pharaceutical Benefits Scheme visit the PBS website. For more information on medical products that can help you click here. For a fact sheet on 10 common myths about smoking and quitting click here. Many Australian smokers mistakenly believe that weaker tasting cigarettes (previously known as 'light' and 'mild' cigarettes) are less dangerous. There is no evidence that smokers of weaker cigarettes have less risk of smoking-caused diseases than smokers of other cigarettes. Research shows that there is little difference in the levels of nicotine, carbon monoxide and other toxins inhaled by smokers of weaker cigarettes compared to smokers of regular cigarettes. This is because smokers generally take more frequent and deeper puffs of these cigarettes to get the amount of nicotine they are used to. There is no evidence that switching to weaker tasting cigarettes reduces addiction or helps smokers to quit. Quitline 13 7848 (13 QUIT) is a confidential telephone information and advice service. For the cost of a local call (except mobiles), professional telephone advisors provide encouragement, resources and support to help smokers quit. They are friendly, helpful, non-judgmental and are able to assist smokers at whatever stage they may be at in the quitting process. The Quitline advisors can also provide advice to family and friends of smokers and to health professionals about the latest evidence on quitting smoking. iCanQuit website is designed to motivate people to quit by providing them with the information and tools they need to make a quit attempt. It is interactive and allows smokers to share their stories about previous, current or planned quit attempts. It also provides helpful hints on how to quit as well as a goal tracker and savings calculator so smokers can see the everyday results of quitting. Six fact sheets on various aspects of smoking cessation are available to download and order from the NSW Health website. They include fact sheets on ‘Supporting someone to quit smoking’, ‘Benefits of quitting smoking’, Nicotine dependence and withdrawal’, ’10 myths about smoking and quitting’ ‘Smoking and pregnancy’ and more. To access the booklets, click here. No Smokes is a website designed to appeal to young Aboriginal and Torres Strait Islander Australians. It is funky and fun and uses animations, games, video clips, blogs and personal stories to deliver messages about quitting smoking. No Smokes is funded by the Department of Health as part of its Indigenous Tobacco Control Initiative. ‘Quit for 2 Quit for you’ is a Smartphone app that provides support and encouragement to help pregnant women give up smoking. It includes practical quit tips and advice and fun exercises and games that distract women when they feel the urge to light up. It inspires women to keep going with amazing facts about the baby's development. And, it gives women ideas for what they could buy with the money they are saving every day they don't spend money on cigarettes. For NSW Health information on smoking, quitting and mental health, click here.